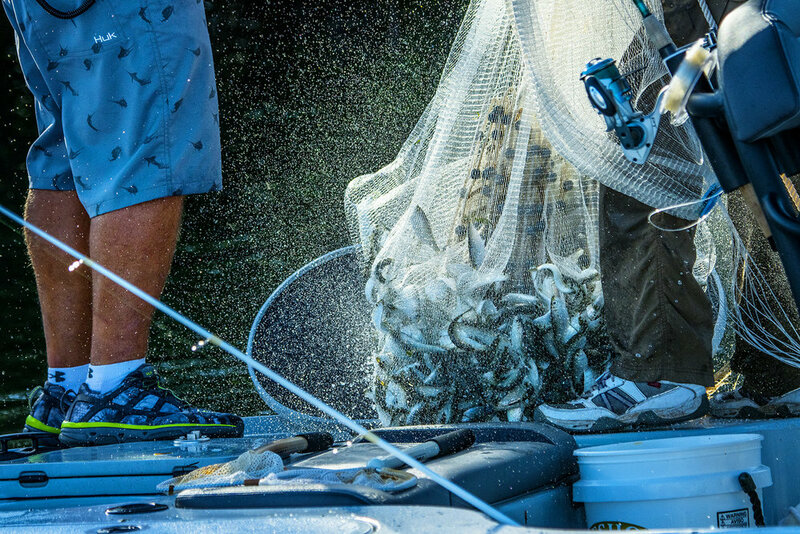 Jeff Malone (Tarpon Time Charters) is one of the hardest working guides I know. Every year for the last 15, I have watched him load and unload happy customers onto the dock at Hawks Cay Resort. Jeff is always smiling despite working every single day with double and triple 1/2 days during the spring. Jeff goes in virtually every condition and rarely have I ever seen him cancel a trip. He works so hard that he literally begins to waste away. Jeff loses 20 pounds or more every year off of an already slight frame. By the end of the season, he looks like a mere shadow of his former self. Off season means no double days and maybe a day off a week. During this time, he puts on a little weight and might get to sleep to 5:30 AM one morning a week. We talk to Jeff every day and exchange information. Some guides give information that is suspect, but Jeff has always provided sound information, even if we had to twist his arm to get it. You see, guides that talk a lot or are very boastful around the dock are not really listened to by me. I want to know what the guy that quietly comes in, keeps his mouth shut, cleans his boat and takes off fast has to say. That guy has real information and the last thing in the world he wants to do is to tell the world about it. That guy is Jeff Malone. I have always wanted to fish with Jeff and we made sure that we had an opportunity this year. In fact, we planned a couple of days with him and Jeff produced. Here is the first show we have edited from our time with Jeff. It is set almost immediately after Hurricane Irma when very few people had returned to the water. Jeff was glad to get back on the water and check a few spots to see if his local friends made it through the storm. Pancakes for Jeff Malone in the morning. 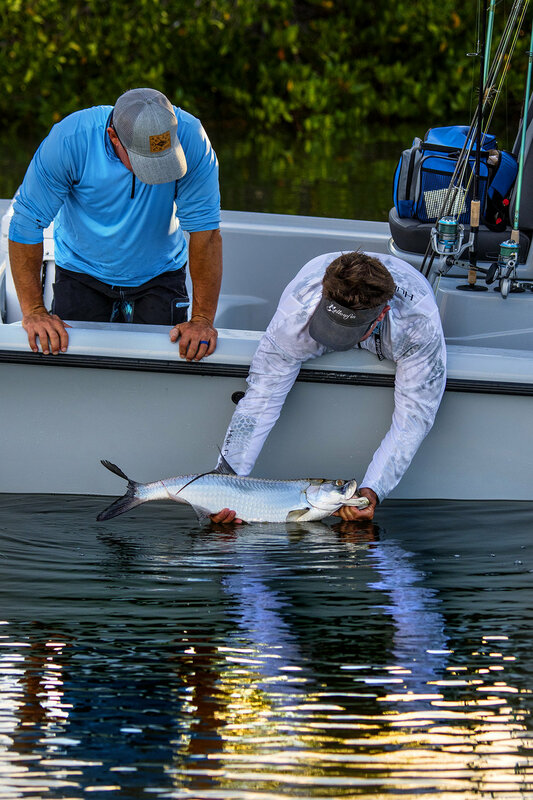 First tarpon after Hurricane Irma was a great feeling. Where do you think this little guy was during the hurricane? All of the fish after the hurricane have seemed so healthy.